DreamCloud Vs Purple - Which Should You Choose? Home » DreamCloud Vs Purple – Which Should You Choose? DreamCloud Vs Purple – Which Should You Choose? 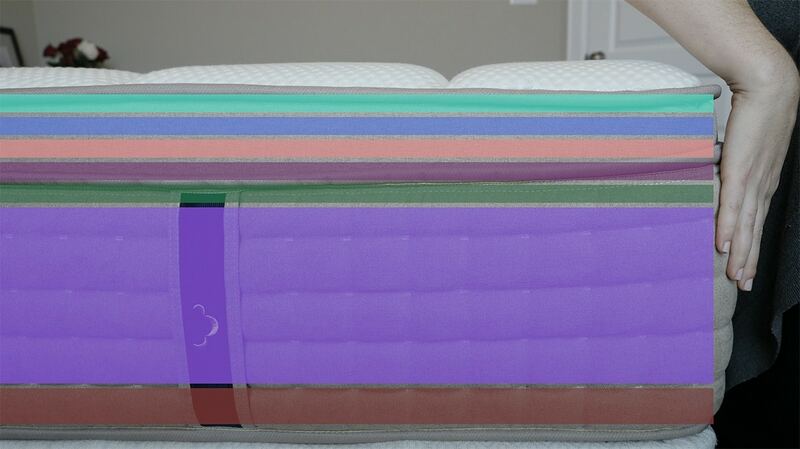 DreamCloud and Purple are both popular mattresses that are sold online. Purple offers different constructions and firmness options, while DreamCloud comes in only one luxury spring option. We’ll compare the two in this post so you can better determine which is best for you. Both are relatively firm mattresses. Both use materials conducive to sleeping cool. 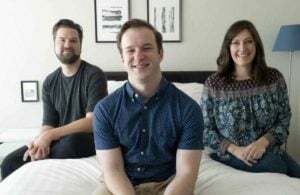 Purple has an all-foam mattress as well as spring mattress options (with different firmness levels), while DreamCloud has only one spring mattress. Purple has less expensive options (about $1,000 to $1,700 for DreamCloud; $699 to $1,299 for the all-foam Purple; and $1,299 to $1,899 for a Purple mattress with coils). Purple has multiple firmness options. Purple uses a unique material that makes it both bouncy and soft. It markets this material with its raw egg test. Purple has a combination of a memory-foam feel and a latex-like feel. 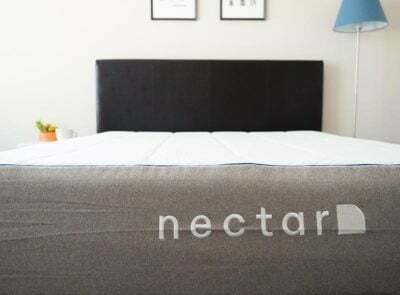 DreamCloud feels more like a traditional spring mattress. Purple comes as thin as 9.5″, though some options are thicker. DreamCloud only comes in one 15″ thickness. DreamCloud offers a longer trial (365 nights compared to 100 nights for Purple). Deals: You can get the highest discount available on DreamCloud by clicking HERE. You can get a free Purple pillow with a mattress purchase by clicking HERE. This mattress is comprised of several relatively thin layers. DreamCloud has a True Tufted™ Cashmere Top that has a Eurotop feel and features hand-sewn tufts. Various layers of memory foam with different levels of thickness, softness, and texture come next. Next are two layers of quilted memory foam totaling 1.77″ (4.5 cm). 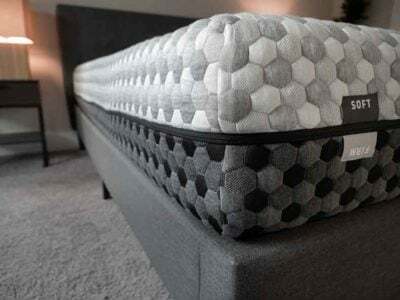 A thin layer of natural latex (0.39″ or 1 cm) breaks up the memory foam layering and contributes bounce. More memory foam follows, this time approximately 2″ (5 cm) of “Dreamplush” supporting memory foam. 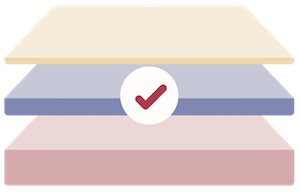 Another thin layer (0.59″ or 1.5 cm) of super dense, super soft memory foam comes before the spring layer. On the bottom is 1.6″ (5 cm) of high-density, super soft memory foam. Purple has a relatively simple construction. The foam version has just three layers, and the spring version swaps out a dense foam base for coils sandwiched between thinner layers of foam. Layers are also different thicknesses in the coil version, depending on the level of firmness. The cover is a breathable blend of viscose, polyester, and polyester-lycra. 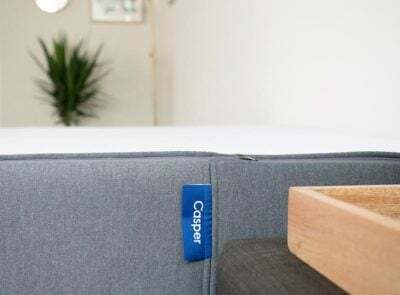 The first layer is 2″ of hyper-elastic polymer, which is the unique material that gives this mattress its particular bounciness, pressure relief and coolness. The middle layer is 3.5″ of relatively dense polyurethane foam. Read our full Purple Review HERE. Both are relatively firm, but DreamCloud is firmer. Purple has better pressure relief. DreamCloud has a more complex construction than any of Purple’s options. Purple’s proprietary foam material gives it a unique memory-foam-latex combo feel that is firm but pressure-relieving at the same time. Purple offers thinner options than DreamCloud. Both sleep cool for most people, DreamCloud because of its coils and Purple because of its special materials. Watch the videos below to get a sense of how the mattresses respond to pressure. 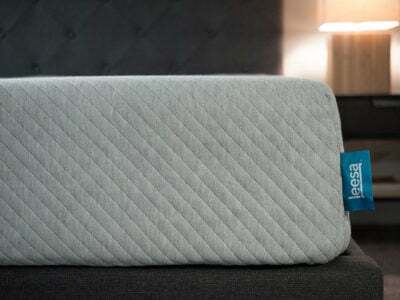 Both are very responsive and return to shape quickly, but DreamCloud’s pillow-top gives it a different feel. Note that the Purple video is for the all-foam version. The videos below show off the differences in motion isolation. Both do a respectable job at preventing motion from transferring, but Purple’s all-foam version absorbs motion a little better. You like traditional spring mattresses. 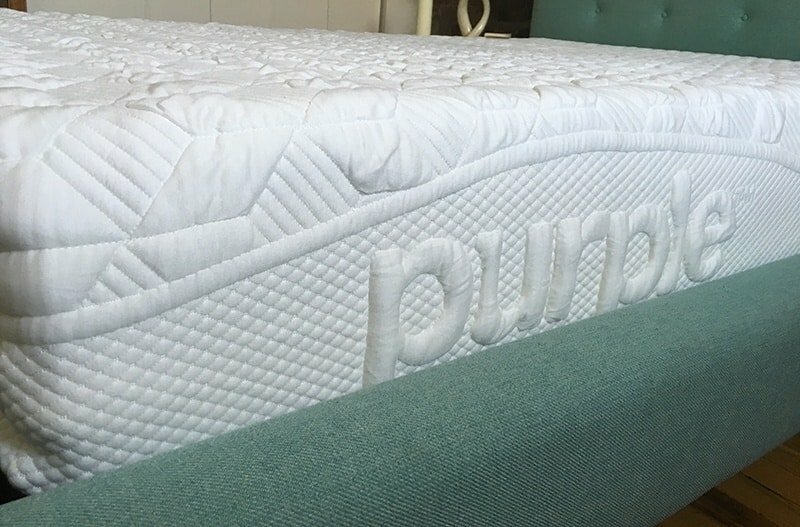 DreamCloud has a more traditional spring mattress feel than Purple’s all-foam or coil options. 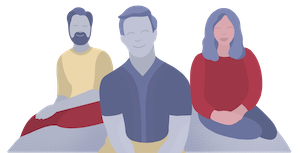 If you’ve had success with traditional mattresses in the past, then you may feel right at home with the DreamCloud. You want luxury on top. DreamCloud’s hand-tufted pillow-top and cashmere cover give it an extra luxurious feel. You sleep on your side. Purple’s special foam gives it better pressure relief, making it more appropriate for side sleepers. You are on a budget. Purple has more economical options. You want more options. Purple lets you pick between all-foam and a foam-coil combo, with different thicknesses of layers for different levels of firmness. These mattresses have a mix of similarities and differences and will generally appeal to different types of sleepers. I hope this review has helped you determine which mattress maker better serves your needs. Please leave any specific questions in the comments.